Therapedic Mattress Review 2019 - Which collection is best for you? 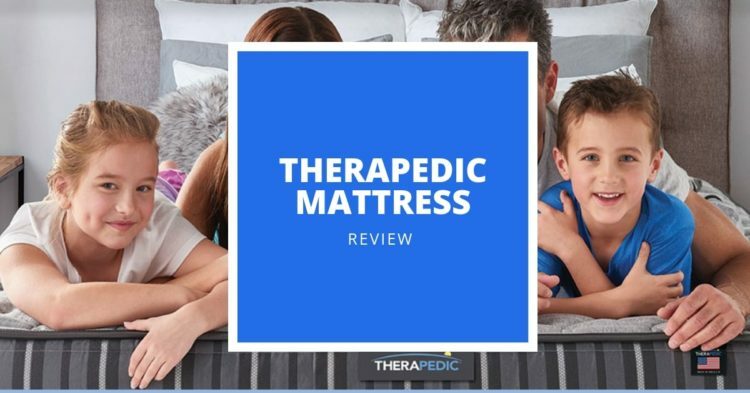 Home » Mattress » Therapedic Mattress Review 2019: Which Of Their Many Beds Is Best For Your Needs? Therapedic Mattress Review 2019: Which Of Their Many Beds Is Best For Your Needs? The Therapedic mattress brand offers a wide range of beds, across several different collections. These include innerspring, hybrid, and memory foam options, designed to suit the widest range of sleepers and have something for everyone. But with all this choice, how do you find the right one for your sleep needs? 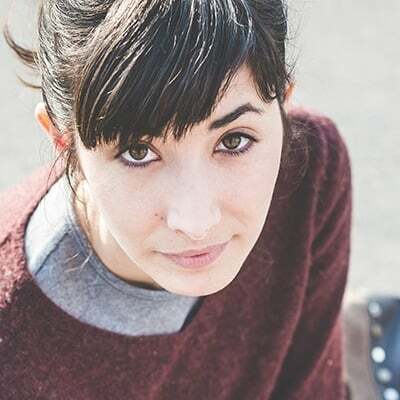 We break down the many options from this popular brand to help you find the one right for you. The Eco Gel 2 is described as an eco-friendly choice. It includes an environmentally friendly layer of gel infused memory foam that is known to be cooler than standard memory foam, while still cradling your body as you sleep. The mattress also includes EcoGel HourGlass Back Support for additional support to the shoulders, hips, and lumbar region. Our top pick from Therapedic is the Specialty collection. Incorporating a number of high-quality mattresses with unique features, such as the environmentally friendly Eco Gel 2 mattress and the all-natural latex Pure Touch mattress, this collection has something to suit everyone. Therapedic is a US-based mattress company founded in 1957 with the aim of providing mattresses that maximise your comfort and support your body for a healthy sleep experience. The company sells their mattresses in retail stores across the US and internationally and has four main collections, offering mattresses to suit a range of sleep preferences and body types. Therapedic’s collections include the Innerspring collection, the Hybrid collection, the Specialty collection, and their collection in partnership with Tommy Bahama. With a range of mattress types, from innerspring to memory foam, this well-established brand promises to have a mattress to suit your needs. Below, we’ve covered each of the collections on offer from Therapedic, including the biggest pros and cons of each to help you decided which, if any of these mattresses, are best for you. Therapedic’s innerspring mattress collection includes five different mattresses: the Back Sense mattress, the Bravura innerspring mattress, the Innergy 2 mattress, the Medicoil HD mattress, and the Therawrap mattress. While each of these has different features, innerspring mattresses typically have a ‘traditional’ feel that achieves a balance between a supportive surface while still retaining some bounce. The Back Sense innerspring mattress features HourGlass Back Support technology, which is said to increase support by approximately 18 percent around the shoulders and hips and 13 percent in the lumbar region. Constructed from a base foam layer, an encased innerspring, two top layers of comfort foam, and the HourGlass Back Support, this mattress aims to provide support to where your body needs it most. 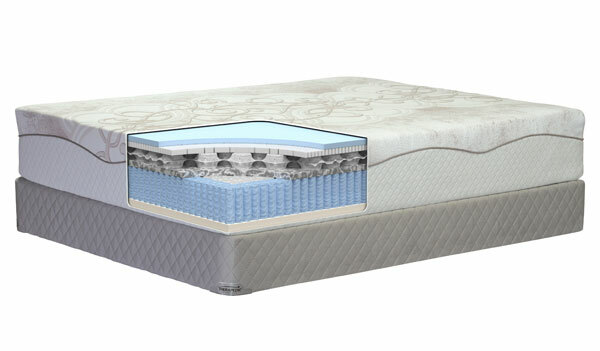 The Bravura innerspring mattress features a Bolsa Edge coil-encased unit to provide durable support from edge to edge. 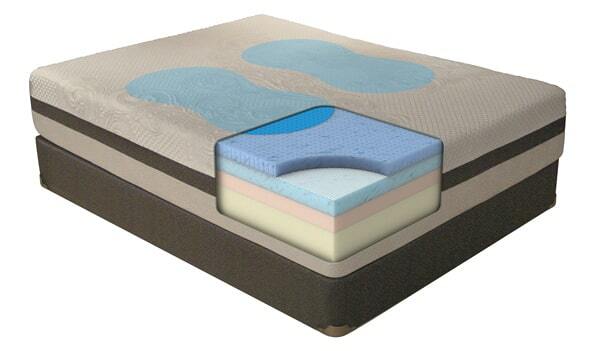 On top of the innerspring unit is a number of foam and latex layers: including a layer of support foam, a layer of memory gel foam to add cooling comfort, a 5-zone convoluted foam layer designed to reduce pressure points and increase airflow through the mattress, a natural latex foam layer for additional support, and two further layers of performance foam for additional comfort and cooling. With so many layers, this sturdy mattress aims to provide a comfortable, supportive mattress that lasts. The Innergy2 innerspring mattress is a two-sided mattress that promises to provide a supportive sleep surface to revitalize your body after a good night’s sleep. 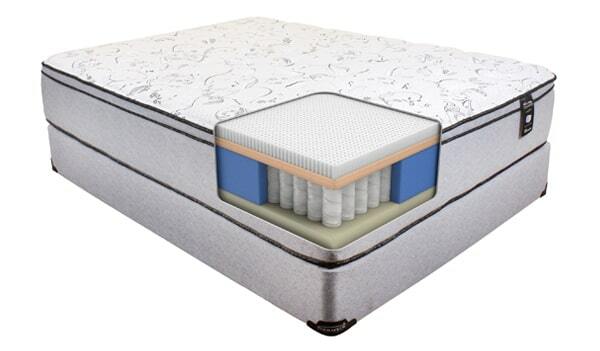 The mattress has an alternating coil system which increases durability and support while reducing motion transfer. The Innergy2 also features a number of foam and latex layers, including a layer of natural latex, a layer of gel memory foam, and a layer of high-performance gel foam – all designed to relieve pressure points and provide cooling comfort. The Medicoil HD mattress is built to last, featuring an extremely durable spring system with dense, high-quality foams to ensure the mattress remains supportive for all body types, especially heavier-set people. 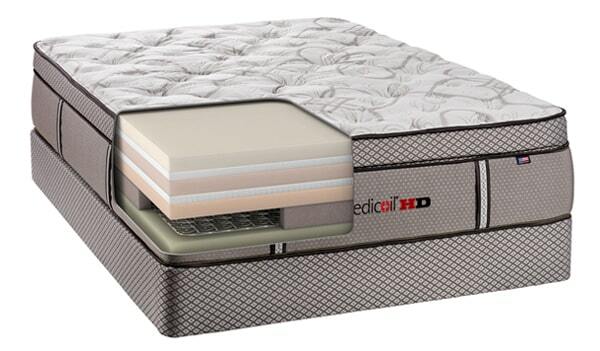 The Medicoil HD mattress includes 12.5 gauge interlocking coils, a layer of TheraFoam, which is 50 percent denser than standard comfort foams, and a layer of TheraLuxe, constructed from natural Talalay latex and gel-infused memory foam – for durable support and cooling comfort. The Therawrap innerspring mattress is designed to reduce any side-to-side motion transfer while sleeping on the mattress. Featuring foam-encased wrapped coils with comfort layers of polyfoam and natural latex foam, this mattress promises to provide a comfortable, undisturbed night’s sleep. You are a heavier person: The Medicoil HD mattress, in particular, has an extremely durable design with high-quality materials to provide a supportive surface for heavier-set people. You prefer a traditional mattress feel: Not everyone likes the feel of foam or latex. These mattresses retain the bounce and support of a traditional innerspring mattress, but all include additional features to ensure you stay comfortable throughout the night. You want an innerspring mattress with minimal motion transfer: If you’re a light sleeper and want minimal motion transfer, you might like the Therawrap or Innergy2 mattresses, which use a combination of innersprings, latex, and foam layers to reduce motion as you sleep. While innerspring mattresses may not provide the same level of support as memory foam and hybrid mattresses, they do provide a ‘traditional’ feel that remains a popular choice for many people. The springs provide bounce rather than hugging you into the mattress, and air can typically flow through the coils easier for a cooler sleep surface. What’s more, heavier-set people may prefer the sturdy support an innerspring mattress can provide, particularly the Medicoil HD mattress in this collection. The most common complaint regarding the innerspring mattress collection is that the mattresses seem to lose their support quicker than expected, with many user reviews questioning the longevity of the mattresses. Likewise, for people who want more pressure relief and motion control, the Hybrid or Speciality collection may be more suitable. For a similar feel to the Therapedic Innerspring collection, you might like the WinkBeds Luxury mattress, which combines innersprings and layers of foam to provide a cooling surface for a restorative night’s sleep. 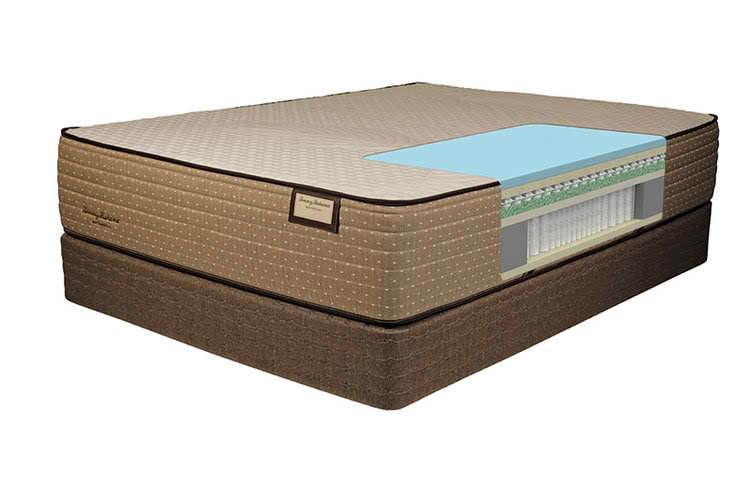 Therapedic offers three hybrid mattresses overall, although two of these are in the Tommy Bahama collection. This collection includes the Bravura Hybrid mattress, constructed from an innerspring unit and several layers of foam, designed to create a medium-firm mattress – ideal for people who want a firmer sleep surface that won’t feel like you’re rolling off the edge. Therapedic has three hybrid mattresses – the Bravura hybrid mattress in their Hybrid collection, and two in the Tommy Bahama collection (which we’ll cover below). 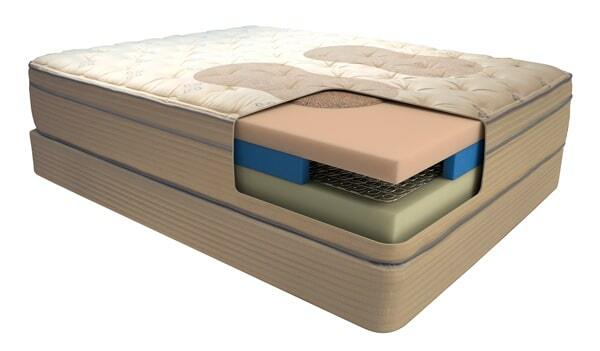 This mattress features an enhanced perimeter coil-encased unit to provide stable support from edge to edge. The mattress also includes speciality foam for dynamic comfort, Talalay latex for enhanced support and durability, and Energex™ foam to relieve pressure point and add cooling comfort. 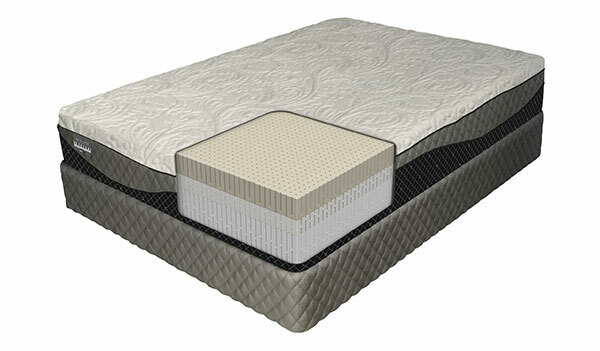 This mattress also has a Quantum Edge Coil Unit to provide added base support and durability to the mattress. Hybrid mattresses are said to strike the ideal balance between innerspring and foam mattresses: providing contouring, deep pressure relief while still offering bounce from the springs and a cooler surface. Overall, the Bravura hybrid mattress is most frequently praised for its cooling properties and for providing a good balance of firm support and soft comfort, especially amongst sleepers who experience aches and pains. The most common criticism of the Bravura hybrid mattress is its durability, which seems to be the case with almost all Therapedic mattresses. Several users reviews report that the mattress begins to sag and lose support quite quickly, which can be frustrating even with a warranty to protect your purchase. You tend to sleep hot: The Therapedic hybrid mattress receives strong praise for its cooling properties and is made with a combination of foam latex and innerspring layers to help to circulate air through the mattress for a cooler night’s sleep. You want the pressure relief of memory foam without sinking: Not everyone likes the feel of memory foam mattresses and this hybrid mattress offers the best of both worlds. You’ll be able to enjoy the contouring comfort of memory foam without the accompanied ‘sinking’ sensation. You like a mattress with some bounce: This hybrid mattress retains the bounce of an innerspring mattress with the comfort and support of latex and foam layers: the best of both worlds. If you’re looking for a hybrid mattress specifically, you might also want to check out the Dream Cloud hybrid mattress, a luxurious bed that aims to combines the best of innerspring and memory foam mattresses. The Therapedic Specialty mattress collection features a number of mattresses to suit a range of body types, preferences, and budgets. The one thing all these mattresses have in common is that they include at least one layer of foam in their construction, providing excellent pressure relief across the board. That being said, the price of these mattresses is unclear since they are only available from third-party retailers, which can be seen as a con for buyers on a strict budget. 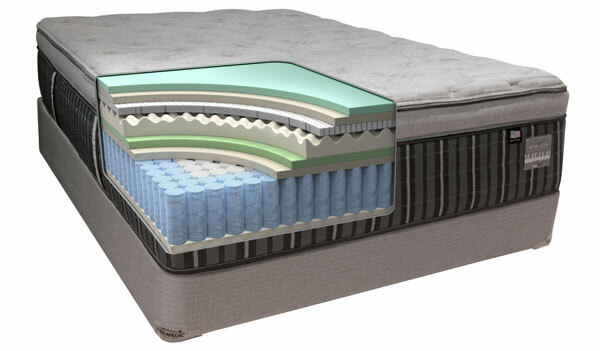 The Therapedic Specialty mattress collection features a number of mattresses with different features, although all include foam in their construction. Below, we’ve listed the key features of the mattresses in this collection. 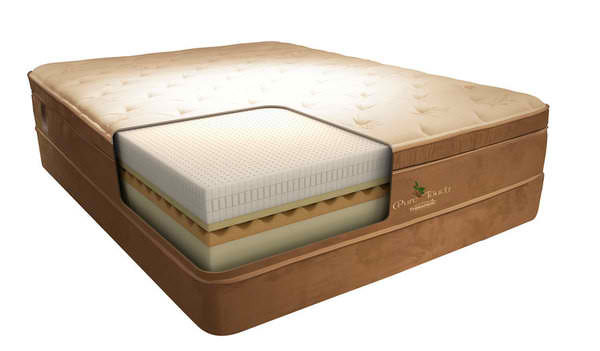 The Bravura Latex mattress is constructed from three layers of latex to provide a comfortable, durable sleep surface. The top layer is made of copper-infused latex to enhance its cooling properties, while also providing a naturally anti-inflammatory and non-allergenic surface. Underneath this layer is another layer of natural latex foam for added support and a final base layer of denser latex to add durability and further support to the mattress. This mattress features a number of layers of memory foam for maximum comfort. On top is a layer of copper-infused memory foam with the same anti-inflammatory and non-allergenic properties as the Bravura Latex mattress. The Bravura Memory Foam mattress also has a layer of Energex™ foam for pressure relief and cooling and a layer of dense base foam for added durability. The Eco Gel 2 is described as an eco-friendly choice. It includes an environmentally friendly layer of gel infused memory foam that is known to be cooler than standard memory foam, while still cradling your body as you sleep. The mattress also includes EcoGel HourGlass Back Support for additional support to the shoulders, hips, and lumbar region. Other layers include memory gel foam for cooling, Dynaflower cooling fabric for increased airflow, and memory foam for added comfort. This memory foam mattress is designed to respond to your body heat to cradle your body for neutral spine alignment and deep pressure relief as you sleep. The technology strikes a balance between comfort and support with three layers of foam: a base foam layer for durability, a layer of convoluted foam for reducing pressure points, and a layer of memory gel foam to add cushioning and cooling comfort to the mattress. 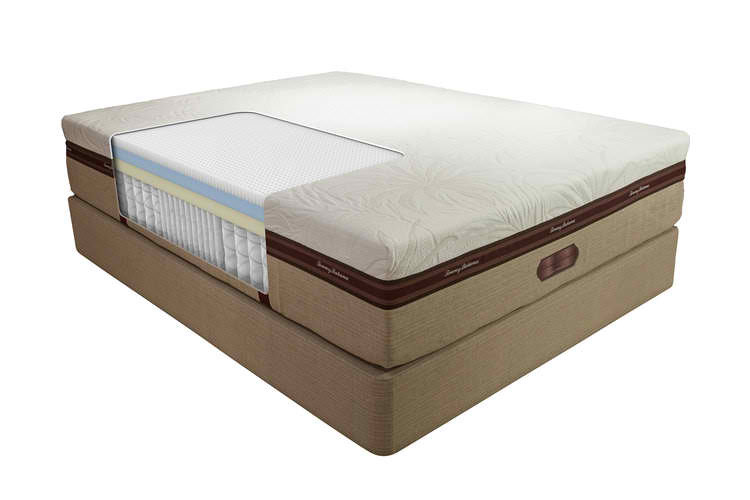 The PureTouch mattress is made from natural latex rubber foam to offer a cooler sleep surface and quick response time. The mattress is constructed from four different layers: a layer of base foam for durability, a layer of convoluted foam for pressure point relief, a layer of support foam, and a top layer of natural latex foam for support, durability, and comfort. As each of these mattresses is vastly different in construction, it is difficult to say absolutely which mattress has a softer or firmer feel than the other. That being said, the Bravura Latex mattress and the PureTouch mattress are likely to have more bounce and a faster response time than the other mattresses, due to their latex foam. The latex foam will also mean these two mattresses may be more effective at regulating temperature. The Memory Touch, Eco Gel 2, and Bravura Memory Foam mattresses all feature memory foam, a mattress material known for providing deep pressure relief and a hugging quality, as the foam contours to your body. However, memory foam can also be known to trap heat, so these mattresses may be less effective at regulating temperature than the other two latex mattresses. Overall, these mattresses contain some high-quality materials that suggest they will be most effective at pressure relief and supporting your body. However, some reviews do suggest that the mattresses are not as durable as some competitor mattresses, and memory foam’s tendency to trap heat may be off-putting to those who prefer to sleep “on-top” of their mattress for a cooler night’s sleep. You want a memory foam or latex mattress: The Speciality collection features several all-foam or all-latex mattresses, each with a unique feel. If you prefer the feel of a latex mattress or a memory foam mattress, this is the collection for you. You want an environmentally friendly mattress: The Eco Gel 2 is an eco-friendly mattress which claims to use materials free from harmful materials, while the PureTouch mattress is a natural mattress made from latex rubber – both are good choices if an eco-friendly mattress is a priority for you. You need deep pressure relief and motion isolation: Memory foam mattresses are a good choice if you want deep pressure relief while you sleep with minimal motion transfer. For a highly-supportive memory foam mattress, we recommend checking out the Nectar mattress. This medium-firm mattress comes at a highly affordable price with great pressure relief and firm support. In 2015, Therapedic partnered with island-inspired lifestyle brand, Tommy Bahama, to create a collection of high-end innerspring and hybrid mattresses. The collection, in their words, “represents the spirit of relaxation with a healthy dose of fun”. The collection consists of four innerspring mattresses with varying degrees of plushness and two hybrid mattresses – one with a 13-inch profile and a slightly thicker model, at 15-inches in height. Therapedic sleep technology with Tommy Bahama styling to create a mattress line that represents the spirit of relaxation with a healthy dose of fun. The mattresses all feature a wrapped coil unit for responsive support, as well as a combination of ‘Floating Foam’, which increases airflow and adds comfort to the mattress. 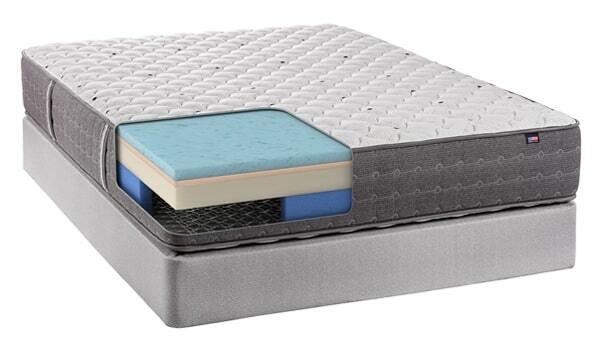 The euro-top model features an additional layer of padding in line with the mattress edge, while the pillow-top model has an extra layer of padding sewn underneath the cover to keep it in place and to provide a more cushioned surface. Finally, the plush model has an additional layer of comfort foam to give it an extra-soft feel. The Tommy Bahama collection also features two hybrid mattresses. The 13-inch model is constructed with an edge-to-edge pocket coil unit for premium support, topped with two layers of ‘Floating Foam’ and transition foam for comfort and support. Finally, the top layer of the 13-inch hybrid mattress is made of BioH Gel Latex, an environmentally-friendly material that gives the mattress a soft, comfortable feel. The thicker 15-inch hybrid mattress is constructed from slightly more layers. 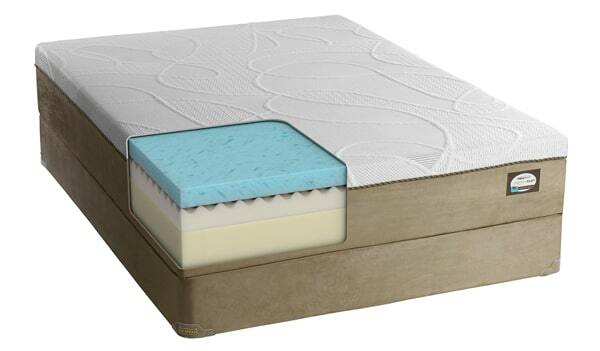 Above a layer of durable base foam, this mattress has a nested wrapped coil unit to give support and reduce motion transfer. The mattress then features a layer of Energex foam for pressure relief and improved temperature regulation, and micro coils for comfort. The hybrid mattress then has a layer of Memory Touch foam for support and a top layer of Memory Touch Freeze foam for added cooling comfort. The Tommy Bahama innerspring mattresses feature quality innerspring construction that aims to provide consistent support to the hips, shoulders, and lumbar region. This, in combination with the eco-friendly ‘Floating Foam’ technology, creates a supportive, comfortable mattress that also allows air to flow through the mattress for a cooler sleep surface. The four styles provide different feels to suit a variety of preferences and sleep positions, with the innerspring plush providing a super-soft feel while the standard version offers a firmer surface for those who prefer it. Likewise, the 15-inch hybrid mattress provides a relatively soft, comfortable feel due to the ‘Floating Foam’ technology used in its construction, with a nested coil spring unit designed to conform accurately to the shape of your body in all sleep positions. With the same coil unit but less layers of foam, the 13-inch hybrid model should provide a slightly firmer feel. Overall, the Therapedic Tommy Bahama collection offers a good range of choice, with the innerspring and hybrid mattresses offering distinctly different feels to suit different preferences. The mattresses are generally well-reviewed for being comfortable, with the ‘Floating Foam’ technology used in several models being a stand-out feature. That said, the mattresses are priced higher than the other collections from Therapedic and several user reviews suggest the higher price is more due to the brand name attached to the mattresses than their overall quality. You tend to sleep hot: The ‘Floating Foam’ technology used in the Tommy Bahama collection increases airflow through the mattress for a cooler surface, which people who tend to sleep hot might enjoy. You want support with a plush feel: The Tommy Bahama mattresses all feature a high-quality innerspring system topped with layers of foam for cushioned support. With a choice of Plush, Pillow Top, and Euro Top feels out of the innerspring mattresses, you have a number of choices for a soft, plush feel. Therapedic offers a warranty with their mattresses to cover defects in workmanship and materials, but the number of years you’re covered for depends on what model you purchase. In order to submit a warranty claim, you’ll need your receipt and the information on the law tag on your mattress (usually found hanging from a seam). Therapedic recommends purchasing your mattress with a foundation, as they have been engineered to work in tandem for the best sleep experience possible. Therapedic recommends using a mattress protector to keep your mattress clean and hygienic. They advise against getting your mattress wet or using any cleaning fluids on the mattress, as this could damage some of the materials – instead, use mild soap with cold water and spot-clean your mattress if you need to. Therapedic have some good options if you are looking for an eco-friendly mattress. 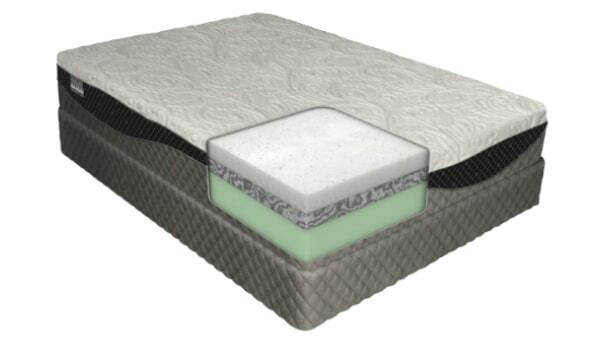 All foams used in their mattresses are CertiPUR-US certified, which means they are free from ozone depleters, PBDEs, mercury, lead, other heavy metals, formaldehyde, phthalates, and certified as having low VOC (Volatile Organic Compound) emissions. In particular, the Eco Gel 2 mattress is marketed as being made from all environmentally friendly materials, while the Pure Touch mattress in the Speciality collection is made from natural latex rubber, which is more eco-friendly than many other mattress materials. Overall, Therapedic offers a wide range of distinctly different mattresses to suit different sleep positions, budgets, and preferences. The biggest criticism of the Therapedic brand is that the mattresses lack durability, sometimes losing support fairly soon after purchase. For this reason, we would advise checking the conditions of the warranty for the model you choose. That being said, with so many types of mattress available, you should be able to find a model that suits your needs.